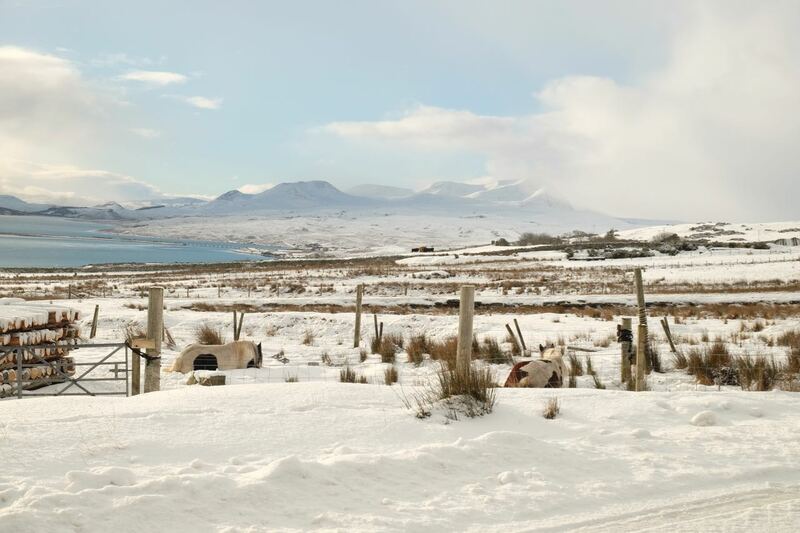 the horses taking it all in their stride and having a nap in the snow. we have been very busy with the woodcrafts making new stock for our retail outlets. These are heading to Barn Owl Bothy arts and craft shop in the beautiful cathedral city of Dornoch. 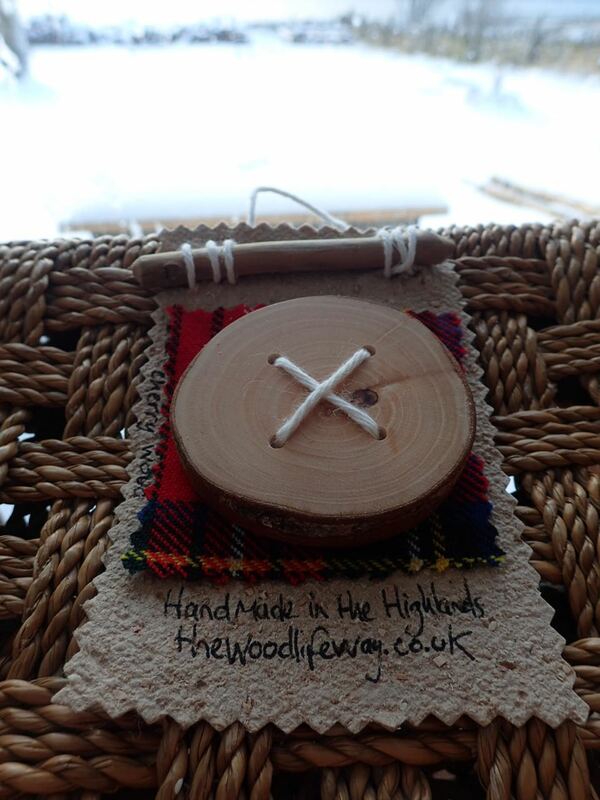 This is a Cherrywood feature button with a tartan backing on our handmade paper finished with a string and stick to hang beautifully in your craft space before use, which also makes a beautiful presentation as a gift. 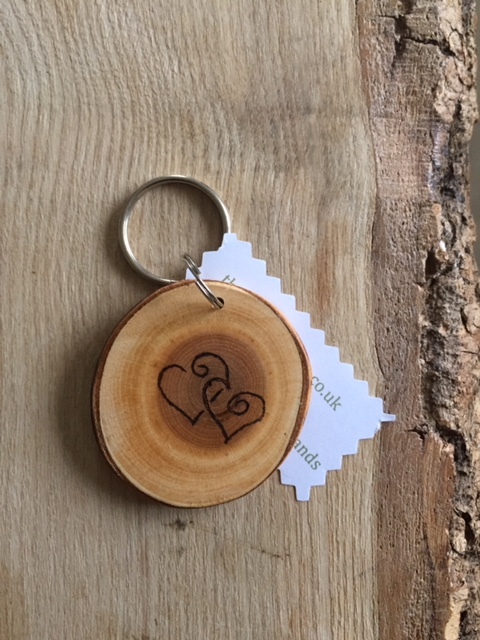 this is a beautiful little cherrywood keyring with we think would make a lovely gift for valentines day. this is slightly bigger and works well as a little tea light holder or shot glass place mat. 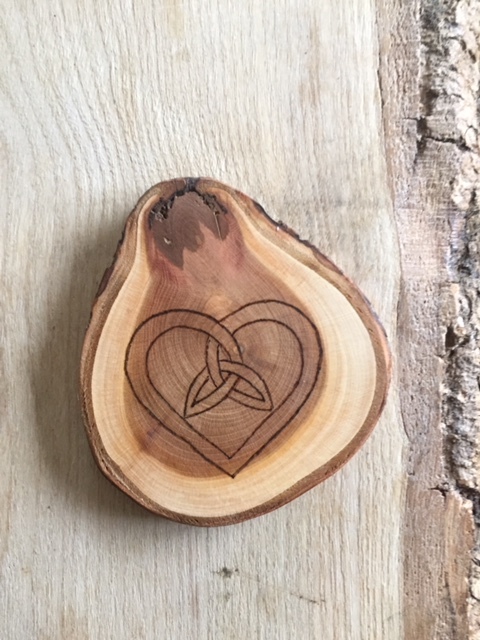 With a Scottish knot work Highland heart design . These are heading with our new stock to Barn owl Bothy in Dornoch. If you would like a special design then please contact us with your requests. 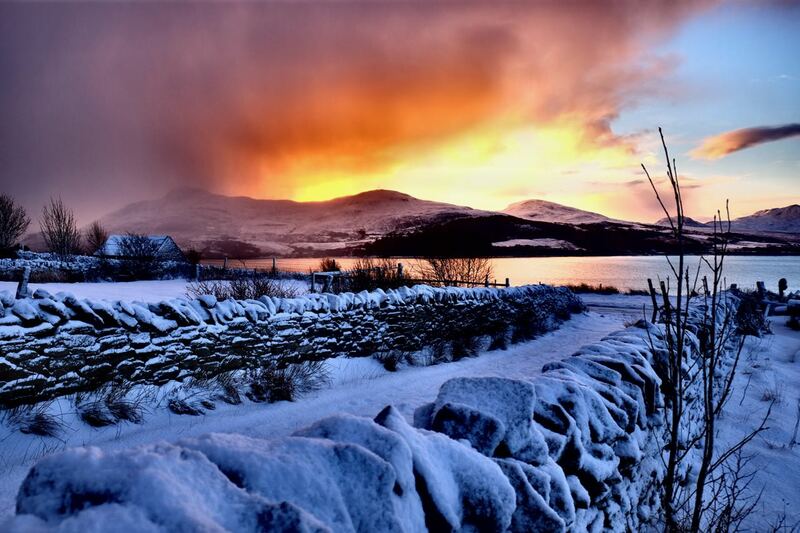 The thaw has now started and the new year is taking shape. 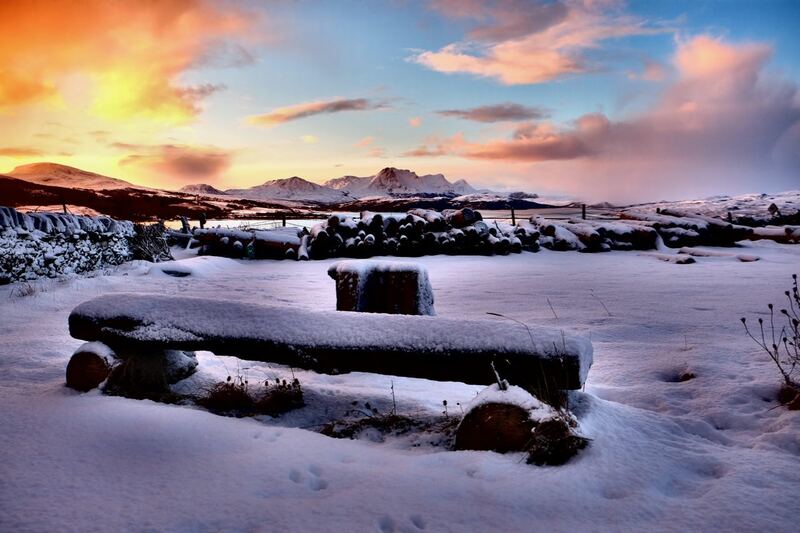 Our guest room calendar is filling up fast and we are starting to book our craft stalls for the coming year at the Highland game fairs and local craft markets. We are trying to build up some new stock as well as replenish our favourite lines which are diminishing fast. 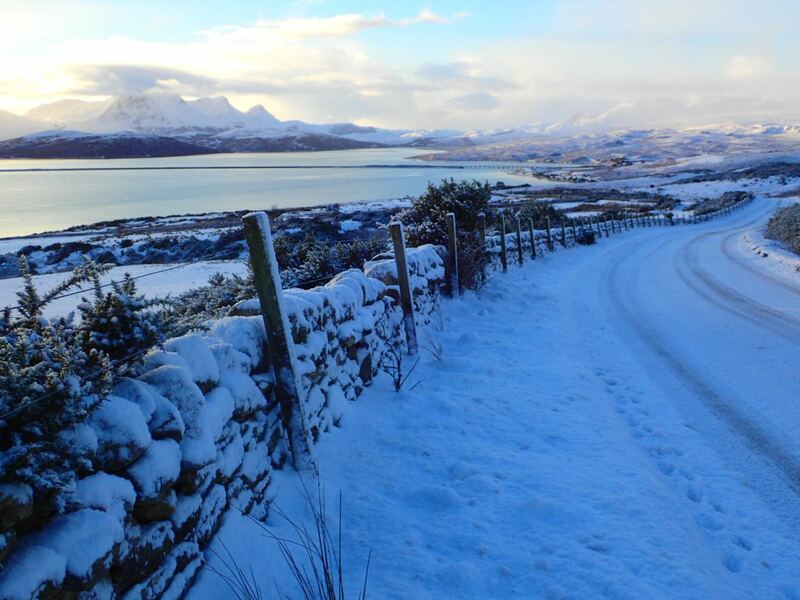 We are hoping to plant some new fragrant herbs for our essential oils and some more coppice trees on the croft. The shelter belt needs to be thickened to protect the fruit trees as the willow is taking so much longer to grow up here on such an exposed site. The deer help themselves too which does not help! We are really trying to hold off having to put up deer fencing and hoping to plant a ratio which will leave us enough even with them taking a few. Maybe wishful thinking but only time will tell. That’s it for now as it is now almost 7am and our free zone internet will allowance finishes at 7am.